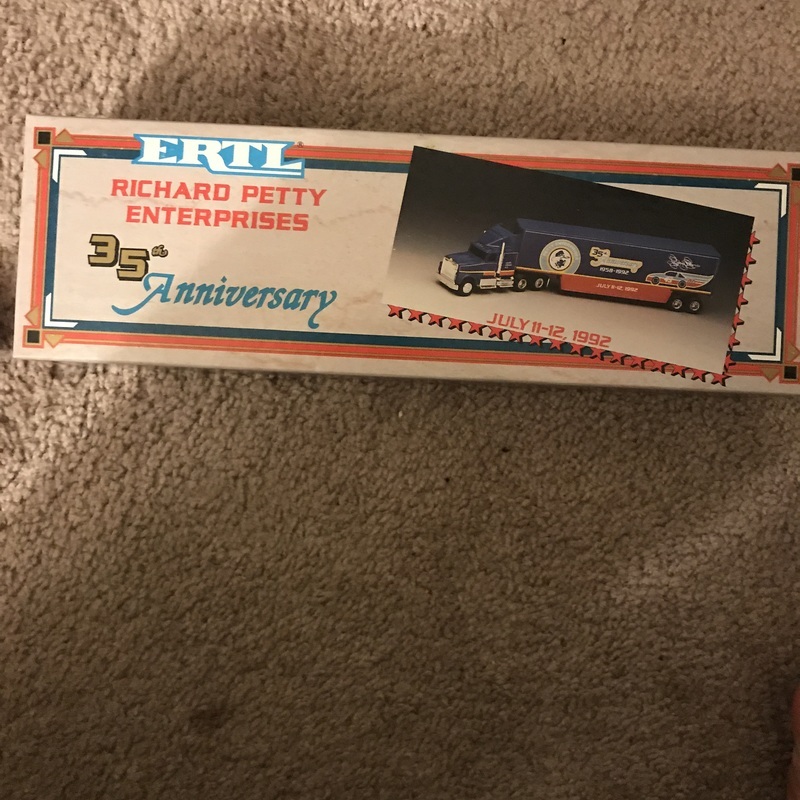 The item appraised is a Richard petty Enterprises model or toy sized eighteen-wheeler truck, in the original boxing. The truck was manufactured to celebrate the 35th Anniversary of Richard Petty Enterprises. This type of item would be best sold on a website such as Ebay, so it can reach the largest collector base. The estimate provided is for auction, but on Ebay, similar trucks are listed for $100+.